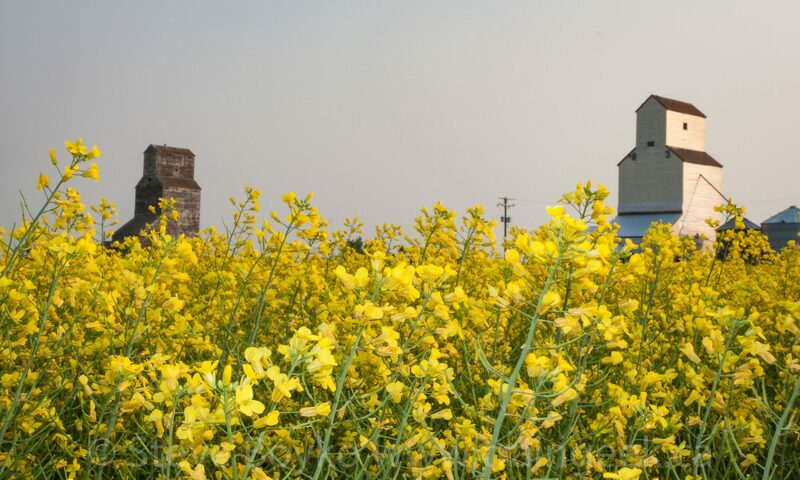 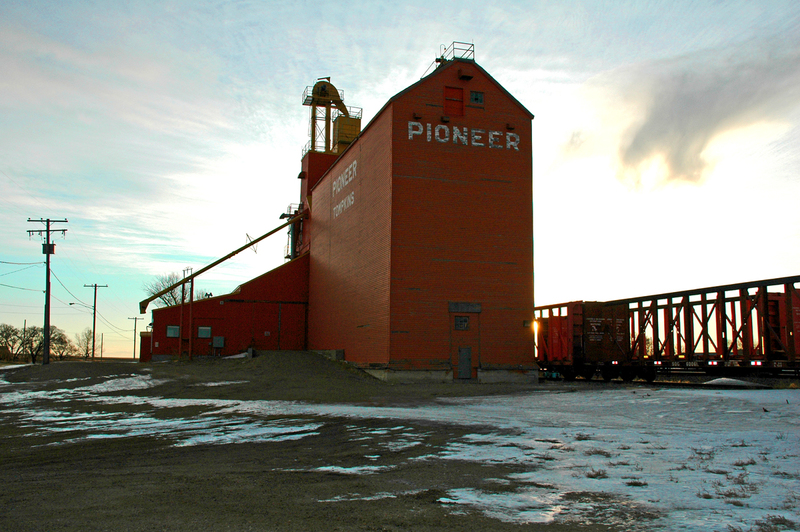 The last grain elevator in Tompkins, Saskatchewan was a Pioneer elevator. 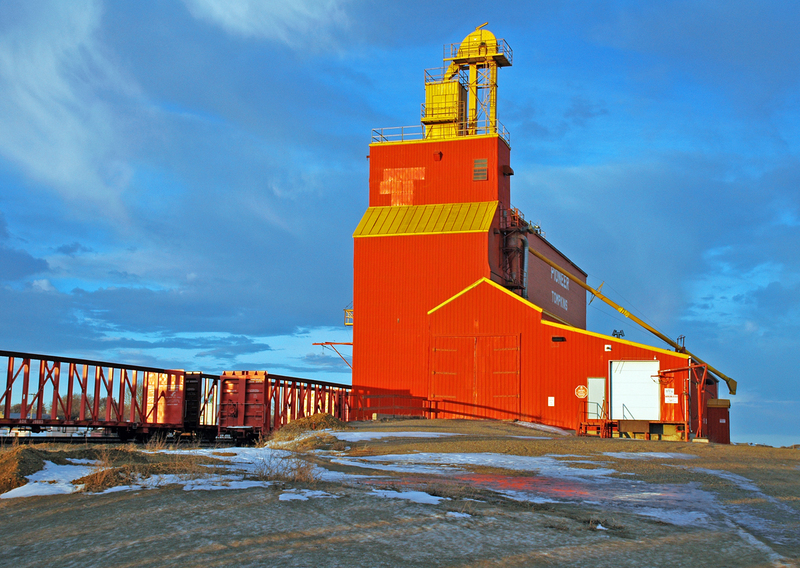 This was demolished in April 2007. 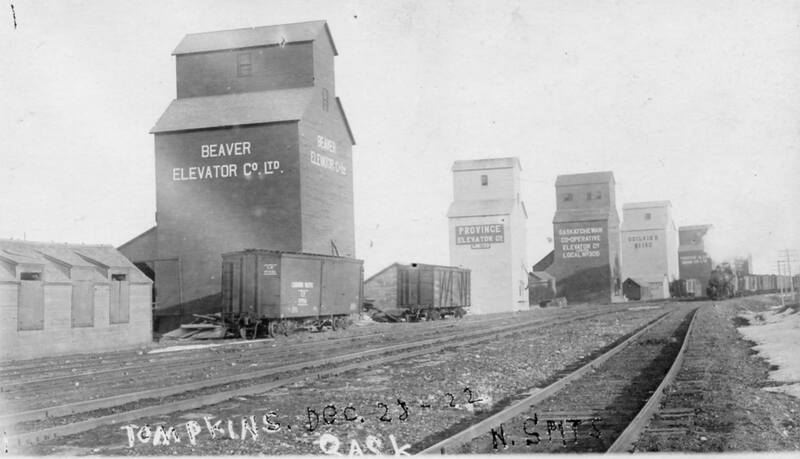 This photo of the Tompkins elevator row appears to be from around 1922. 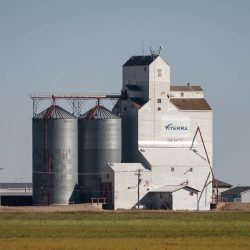 Grain elevators in Tompkins, SK.